At Intake Conversion Experts (ICE), we understand that when there’s smoke, there is likely fire. We also understand that the best way attorneys can help those who have been injured is to inform them of potential dangers and, if possible, assist them in taking action. As there are certain time limitations associated with bringing lawsuits, ICE is currently in an advantageous position of helping small and/or large law firms that are marketing to assist injured claimants by handling the intake responsibilities. As you likely know, Intake plays a major role in a law firm’s retention rate and, ultimately, revenue. We created ICE as an outsourced intake option for those law firms that do not have the necessary resources to maximize results. In this day and age, given the competitive nature of our industry, a law firm’s ability to respond immediately, qualify appropriately, follow-up persistently and retain rapidly during the day, evening and weekends is a NECESSARY component to success. To date, there are have been multiple awards by juries around the country holding Johnson & Johnson (J&J) responsible for causing ovarian cancer through the use of their Baby Powder product. 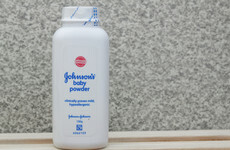 Most recently, a Los Angeles jury ordered J&J to pay $417 million in damages to a medical receptionist who developed ovarian cancer after using the company’s Baby Powder on her perineum for decades. In May, a Missouri jury awarded $110 million to a Virginia woman, a year after Missouri juries awarded $55 million to one plaintiff and $72 million to a woman who died before the verdict. Thousands of other people have already filed similar lawsuits. If you are a law firm marketing to assist victims injured by a mass tort, defective medical device or dangerous medication, the intake responsibility is not one you should take lightly. Interested in learning how ICE can help? Contact us right now. Where Does YOUR Law Firm Drop The Intake Ball?